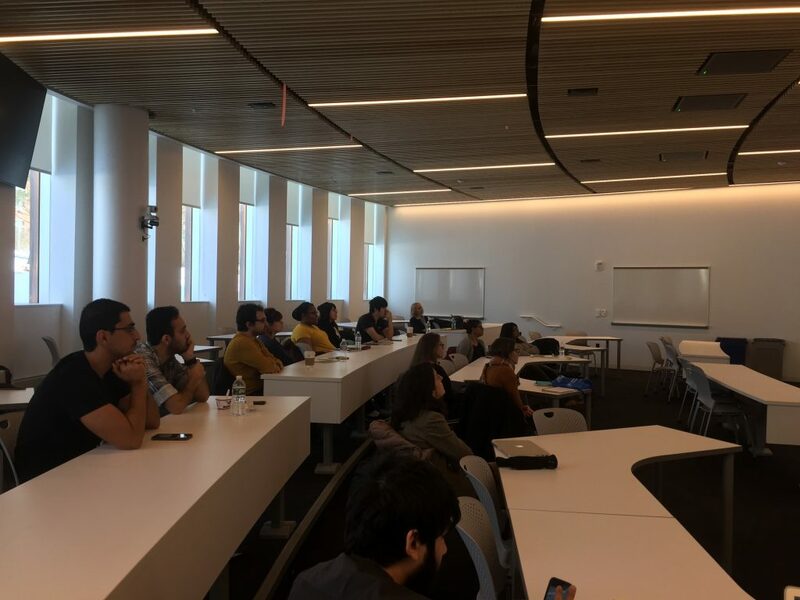 Today, February 22nd, our Student Chapter was thrilled to organize its second event for Spring 2019 semester. Our speaker has been Dr. Peter Haas who is a Professor at College of Information and Computer Sciences at University of Massachusetts, Amherst. 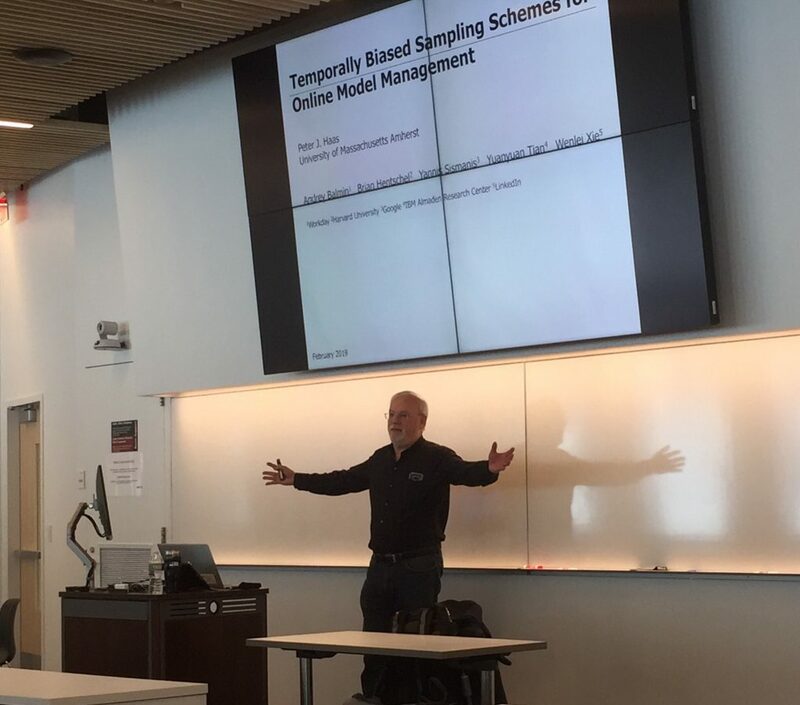 His presentation was entitled: “Temporally-Biased Sampling Schemes for Online Model Management”. With his talk, Dr. Haas emphasized on the importance of having accurate data over time and presented his developed methods and approaches in order to achieve this goal. His presentation included very interesting and useful graphs that allowed the audience to comprehend both fundamental and more sophisticated parts of his study. 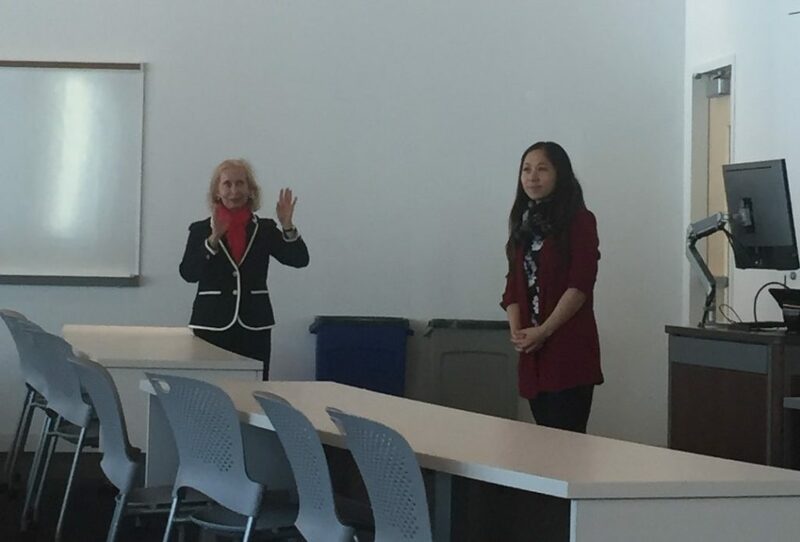 Prof. Nagurney welcomed everyone to the event and introduced our speaker to the audience. Our President, Katerina, referred to our speaker’s academic and professional background. She also introduced Yalda, our new Vice President. Dr. Haas explained thoroughly the motivation for the presented study, which was Dynamic Interaction Graphs. All the attendees demonstrated vivid interest for Dr. Haas’ study. Stay tuned to our Youtube Channel for Dr. Haas’ interview that followed his presentation! This entry was posted in Uncategorized on February 22, 2019 by csipetas. 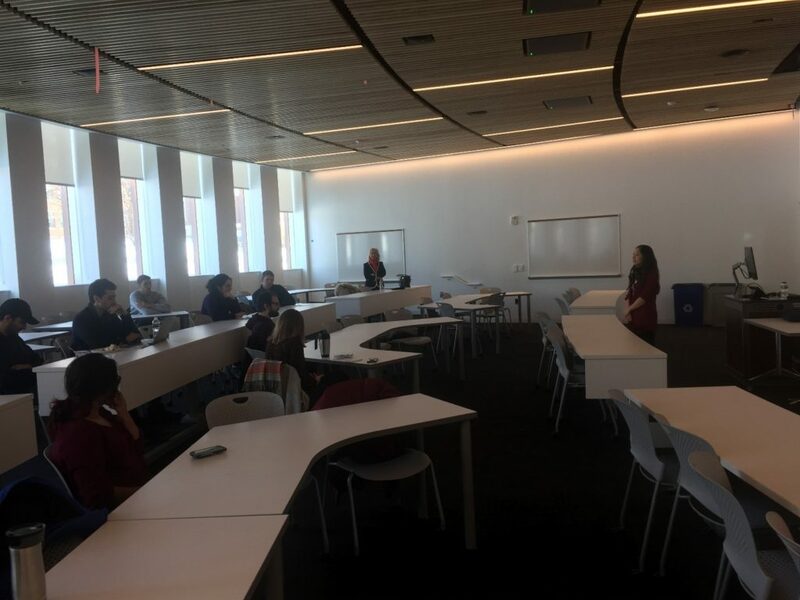 Today, February 1st, we were excited to organize our first event for the new semester! 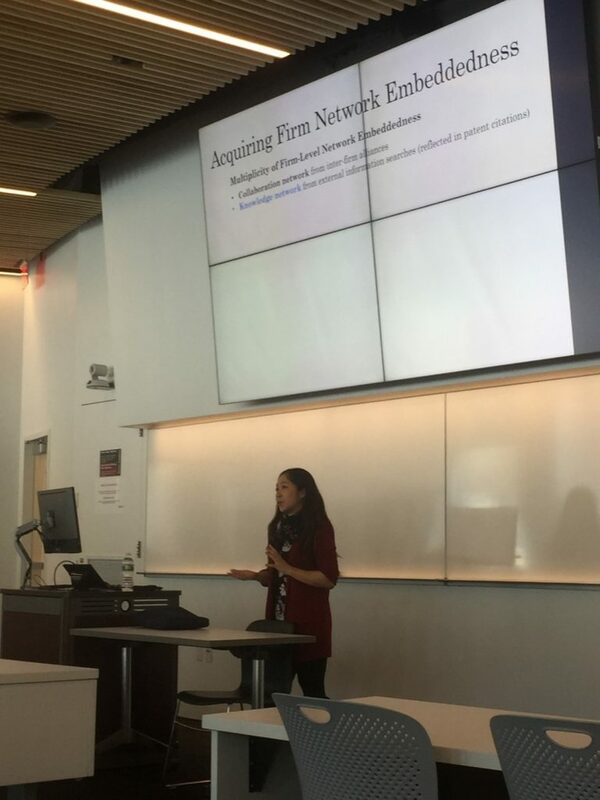 Our first speaker for Spring 2019 was Dr. Aurora Liu, Assistant Professor of Strategic Management at Isenberg School of Management, University of Massachusetts at Amherst. 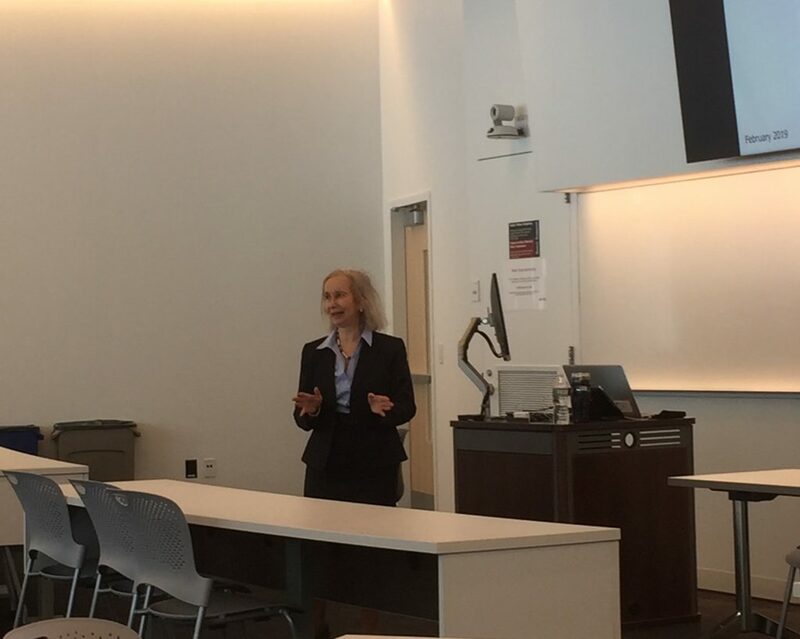 Her presentation was entitled: “Horizontal M&A and Firm Innovation: Contingency Roles of Collaboration and Knowledge Network Embeddedness”. 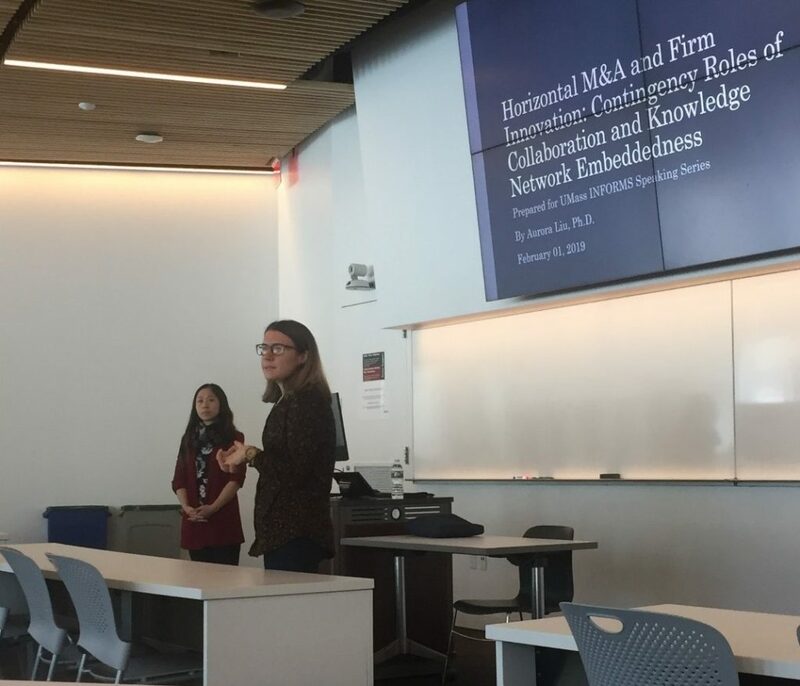 Dr. Liu informed us about her research on how multiple network embeddedness of technological firms may change the effects of horizontal merger and acquisition (M&A) on firm innovation performance. 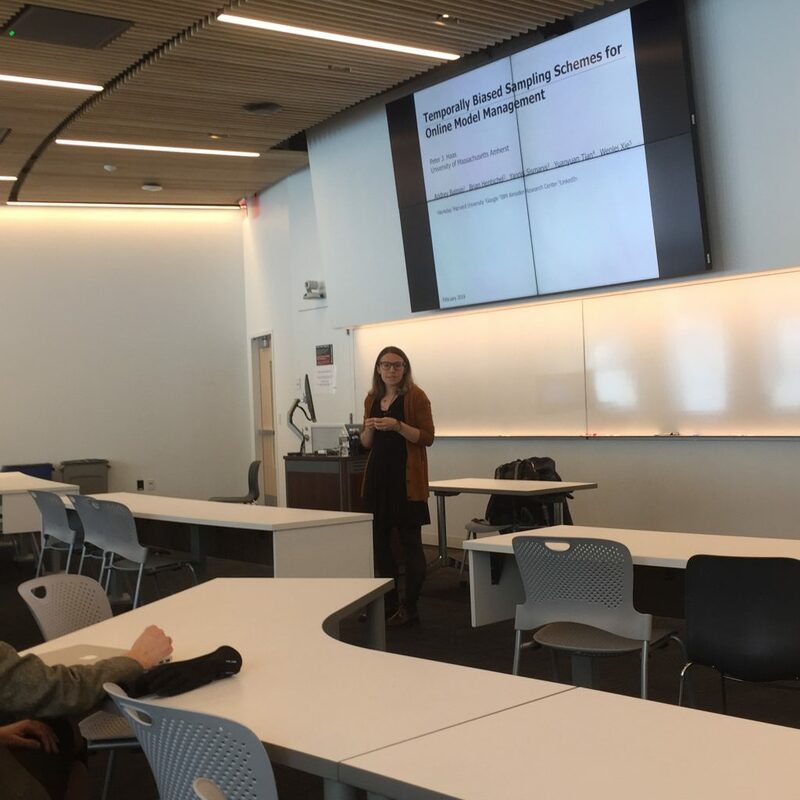 The audience was very enthusiastic about the thorough description of the theoretical research background, as well as the empirical analysis that was presented. The event started with the attendees introductions. Prof. Anna Nagurney, the chapter’s advisor, performed the speaker’s introduction. The chapter’s President, Katerina, referred to our speaker’s academic and research background. Dr. Liu presented her work using examples to make her models development clear to all attendees. The presentation was followed by the speaker’s interview! The content will be available soon on our YouTube Channel! Don’t forget to subscribe for updates! This entry was posted in Uncategorized on February 1, 2019 by csipetas.